For use with all Destron Fearing Tags. No-slip, thick rubber handle grips cushion the hand to improve grasp and reduce fatigue. 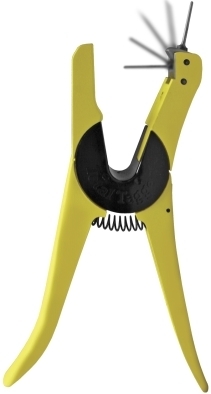 Handle and jaw design eliminates all pinch-points protecting the hand and animal’s ear. The pin is made of a reinforced stainless, surgical grade steel and is replaceable if damaged. 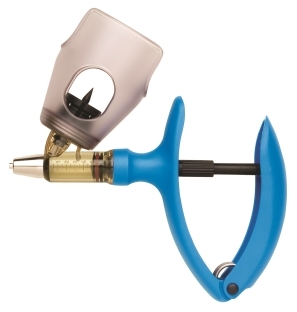 This applicator is used to apply Allflex A-Tags and features a pivoting applicator pin. Use this tagger for the one piece Allflex A Tag and reduce torn ears. 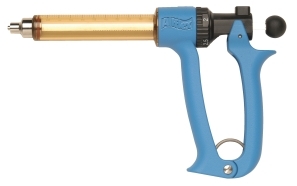 ProGrip Universal Applicator replacement pin. Universal tamper-evident black tag stud. This tag stud can be used in all Destron tags and comes in a bag of 25. Tags ordered through The Tag Store come with a stud. 25 cc syringe ranges from .5-2.5 mL in .5 mL increments. Chrome Metal and Lexan construction. Special locking mechanism prevents air or contaminants from entering the syringe and a grip delivers medication when pressure is applied to the back of the grip, which gives a more natural motion when giving injections. 50 cc syringe accurately delivers a preselected dose ranging from 1 to 5 mL. Chrome Metal and Lexan construction. 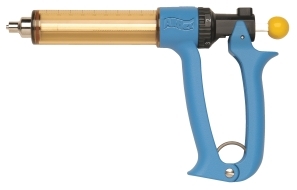 Special locking mechanism prevents air or contaminants from entering the syringe and a grip delivers medication when pressure is applied to the back of the grip, which gives a more natural motion when giving injections. 2EM-BT Auto Reusable Bottle Fed Syringe by Allflex Adjustable Dosage .25ml to 2ml. Syringes are automatic and self-filling with bottle top attachments. They accept 50 ml and 100 ml vaccine bottles. 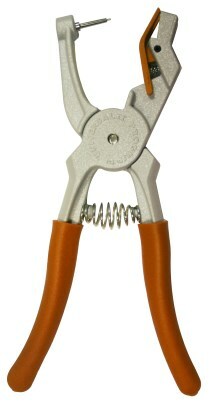 They feature an easy V-grip for high volume use and an amber colored barrel that reduces UV sunlight exposure. You can remove the barrel for easy clean-up and the durable plastic design and metal luer lock tip will give you years of use. 5EM-BT Auto Resuable Bottle Fed Syringe by Allflex Adjustable Dosage .5ml to 5ml.